WHO WANTS MORE FREE STAMPIN’ UP! PRODUCTS!!!!! Email me by March 24th that you wish to participate – you’re commitment is a product order of at least $100. (I need 10 people to sign up for it to work). All 10 orders from the 10 participants will be put together to make up one $1,000.00 workshop order. All Stampin’ Rewards / Hostess Benefits of the $1,000 party will be dispersed between all 10 participants. Email me at least a $100 order by March 26th -- email your order to me. DO NOT enter your order online -- I must enter it for it to count for this special. You may pay by cash or credit card for your order or arrange direct transfer. Everyone that emails at least a $100 order will receive your choice of Sale-a-bration level 1 gift as well as $20 to spend on anything else in the catalogue. One person will have the option of selecting a half price item! N.B. If you choose to place a larger order of $200.00 you may select 2 x Level 1 SAB gifts (or a Level 2 gift) and will receive $40 in Stampin’ Rewards. I will need your choice of free products on your order email so we don’t have to wait for you to decide before we close the order. Email me NOW to SIGN UP to be one of the 10 Participants – sign up by March 24th, order by March 26th. Sale-a-bration is such an awesome time of the year for Stampin' Up! fans - lots of extras and different options and this year is no different. People often ask me how does it work - the whole online shopping thing is so confusing anyway, so I'm going to spell it out in bullet point form. Spend $90 on Stampin' Up! products, select a Level 1 Sale-a-bration (SAB) gift free. Spend $180 on Stampin' Up! products, choose 2 x Level 1 SAB gifts OR one Level 2 SAB gift free. Multiples of $90 increase your gifts, no limit. So $90, $180, $270, $360, $450 etc etc gets you 1, 2, 3, 4, 5 gifts or a combination of Level 1 and Level 2 gifts. All orders over $250.00 also receive 10% of the order total in free catalogue product - so for example if you order totalled $270, you could choose three Level 1 SAB gifts PLUS $27.00 to put towards any item in the catalogue. All orders over $400.00 earn even more Stampin' Rewards, you get your SAB gifts, plus 10% of your order total to put towards other product PLUS a bonus $40 credit to put towards extra items. You can combine these orders with your friends - ask me how! There are Framelits you can buy which coordinate with the SAB stamp sets - so pop those framelits on your order and get the matching stamp set free. Want to see some of my favourites up close? 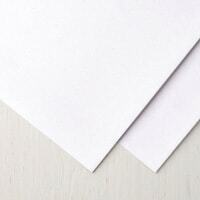 This packet of 12 sheets of 12"x 12" double sided quality printed paper has been extremely popular. 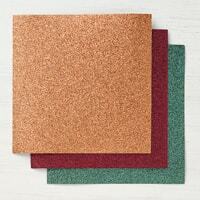 It is SO beautiful and makes cardmaking so simple. Place your $90 product order today and get this packet of printed paper (valued at $19.95) free. There are 5 rolls of beautiful Organza Ribbon in this pack, and it coordinates with our Gingham Gala paper stack AND the beautiful butterfly SAB paper. This ribbon was SO popular at the start of Sale-a-bration it sold out within a couple of days and was switched off. But the next shipment has arrived and it is currently (at the time of publishing) still available as an SAB gift. Get your order in quickly if you want this ribbon as your freebie because this one is very definitely ONLY WHILE STOCKS LAST. Place a $180 order and select the beautiful butterfly paper AND the Organza ribbon. The Painted Seasons Designer Series Paper is another very popular Sale-a-bration gift. Everyone especially loves the paper with the toadstools on it! This paper is available individually as a level 1 gift, or with a coordinating Painted Seasons Stamp set as a Level 2 gift . . . but wait there's more! You can order matching Framelits so you have a full product suite for easy coordination on your projects. There are so many other options with Sale-a-bration. Click on ANY of the pictures in this post to go to the Sale-a-bration page and see all the details. If you need help placing an order, please send me an email. I am at Uni 4 days a week, but with only 2 weeks left of Sale-a-bration I will be checking my emails regularly to make sure you don't miss out! Trigger Warning - this post may trigger grief response in some readers. Please know you are loved and there is support available as you continue to process the loss you have experienced. This morning I had such a beautiful experience. I visited the home of the Treasured Babies Program in Mooroolbark. What a truly gorgeous, caring, wonderful group of people. Lovingly assembling packages of clothing and gifts for bereaved families, hand painting Memory Boxes and Angel boxes, die-cutting butterflies to go on the lids of Remembrance boxes and tubes for naming certificates, sorting and putting together booties, bonnets, nightgowns and blankets for tiny, tiny babies who's spirits have already flown home with the angels. I am so privileged to meet these lovely, kindhearted ladies (and one sweet gentleman) who give their time so generously to make, assemble and distribute these exquisite gifts. All of the items for the Treasured Babies Program are donated and I'm not a crotcheter or someone who does fine needlework, but I was moved to ask what else do they need that my community, my tribe may be able to help with. And the response was so simple and so easy, so I'm putting it here for you as I know so many of you will be willing and able to contribute too. Pastel printed papers for the butterflies they cut out and adhere to the boxes and tubes. Definitely light pastels, mostly blues and pinks but some yellow, green, white, cream. Any small scraps you know you aren't likely to use. The die cuts can be quite tiny so they accept all small scraps. I will be more than happy to collect these items and take them to these hardworking and dedicated volunteers. To that end, I will have a box in my Stamping Room for people who attend classes, Stamp Club or team night to drop off items into, or if you don't get to my classes let's work out a time to catch up and I can collect items from you. Such a simple request - scraps of pastel coloured printed papers, and empty inner cores from paper towel rolls. I know we've all got some, so please get in touch today and we'll work out how we can get your donation to Mooroolbark. If you have an A4 envelope full of paper scraps, I'm happy for you to post it to me to deliver. These lovely people are making such a difference, let's see if us paper hoarders can make a difference to them! Did you know January to March are the most fun months at Stampin' Up! with lots of awesome products being given away? If you like butterflies, Stampin' Up! has you covered with 2 huge bundles of stamps and cutting tools in the Occasions Catalogue (out until May 31st), as well as the very beautiful Botanical Butterflies Designer Series Paper - a free Sale-a-bration gift available until the end of March. See all the Sale-a-bration items in my online shop here. Order online, or if you have an questions, send me a message, email or text and I'll call you back. TOOLS AND INK ON SALE NOVEMBER 27-28. 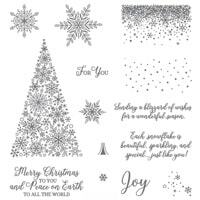 STAMP SETS AND CARD KITS ON SALE NOVEMBER 25-26. Stampin' Up! goes on sale for 6 days! Over the next 6 days, Stampin' Up! is having 3 big sales! Each 48-hour sale will feature two product categories (e.g., paper, stamps, ink, etc.). When one sale ends, the next sale begins; this cycle will continue until Online Extravaganza is over. By the end, nearly every item from the annual catalogue will have been on sale! 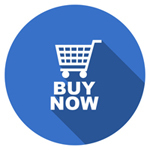 Items can only be ordered at the discount price on the allocated days and some stock is limited and may have the discount code switched off before the end of it's 48 hour period if stock runs short. Yes, this does mean that if you order on from all 3 sales, you will be ordering on 3 different days, and have 3 lots of postage to pay - no different from ordering from Amazon or Craft-on-Line 3 days in a row! However, if you include this hostess code in your online orders UFATACBY you will qualify for extra gifts from me! And if you normally email your orders to me for processing and pick them up from me, then your postage cost will be no different from every other order you ever place - 5%. (And you'll still get extra hostess gifts from me for ordering during this time). On top of that - don't forget I am celebrating my 11th Stampin' Anniversary and am offering an $11 gift pack to everyone who places an order with $111 of product before November 30th! So many reasons to stock up your Stampin' Up! supplies this weekend and into next week! To a fantastic new cling label that makes our lovely red rubber stamps stick intensely to our clear blocks or our Stamparatus plates. So very exciting! Here's a very funny sneak peek of the new Cling Stamps in the very scientific SU! Research and Development lab, and below that I have made a video of how to put your labels on your new cling stamps. Click either picture to go to the video - the top one is Stampin' Up! showing you the cling stamps, the one below is me showing you how to put the labels on! Enjoy! 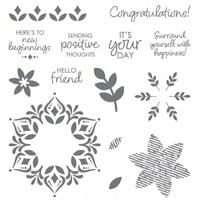 Cling stamps will be available in the new Occasions Catalogue during Sale-a-bration at the start of 2019. Or if you want to get your hands on some earlier, join my team during December and get some in your starter kit with the Demonstrator only pre-order. Non-Starter Kit December demonstrator orders also qualify for Sale-a-bration free stamps a month ahead of everyone else! Want to know more? Contact me today. Can you believe it's 11 years today since I joined Stampin' Up! There are also 11 business days left in November and we still have the sublimely beautiful Snowflake Showcase products on sale this month only. 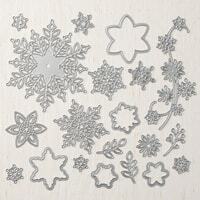 Soooooo to celebrate my 11th Anniversary, over the next 11 business days (and all the weekend days in between) I am giving away a Snowflakes and Stars Wire Elements plus Joyous Noel 6"x 6" glimmer paper pack worth $11 for every order of Snowflake Showcase (or any other product order) totalling over $111.00. If you order online via my shop, your GIFT will be sent separately. If you place your order direct with me your GIFT will come in your order. Happy Anniversary!! So let me run that by you again . 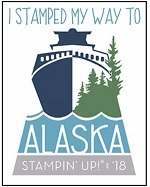 . . Place an order of $111.00 of any Stampin' Up! products (or especially the Snowflake Showcase!!) 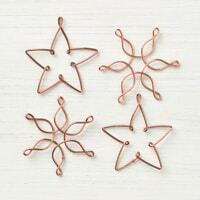 before the end of November and receive a gorgeous $11 gift from me which includes a selection of divine Copper Wire snowflakes and Stars and beautiful Glimmer Paper. 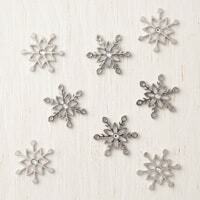 Don't forget, the Snowflake Showcase products will not be available after 30th November. Happy Stampin' Anniversary Shopping!! Click on any of the images to go to my Online Shop, or send me a message if you normally get me to place your order for you.